I have been holding off on telling family and friends until it was official and it finally is! Yayyy!!! Okay so before I get into how this is all going down, let me first just say that I am going to miss San Diego more than I can even describe. By the time we leave for UT we will have lived here just 2 weeks shy of 1 year. ONE YEAR! One year of nothing but sunny days, shorts, flip flops, bathing suits, and beaches. During the last year we really haven't known when our time here would end. We didn't know when the work for Bodie would be complete. We kind of thought it was going to be June, but that came and went. Then we were told the end of Oct, then that changed to Thanksgiving, and then that changed to Christmas! So it's really just been up in the air. The thing with Bodie's company is that there isn't really any work in Spokane. So the entire time he has been with this company (Almost 4 yrs) he has been on transfer (LA, Seattle, San Diego...) so we knew that once the work was done here in San Diego we would either A.) Be sent home to Spokane for a short time and then off on another transfer somewhere else or B.) Sent to Spokane to look for another job that keeps us there. Basically, as long as he works for this company he will not be stationed in Spokane. Anyway, plan A is happening and we really did not think that Utah was ever EVER going to happen! Portland, back East possibly, but definitely not Utah. So you can imagine the excitement we are currently experiencing like we are little kids at the Happiest Place On Earth for the first time. We both grew up there and then moved away 5.5 years ago to Spokane, WA. And while we have really grown to love Spokane and our dear friends there, our hearts belong, and always have, to Utah. It is our home. It's where our people are. ALL of our people. Literally. So there you have it! 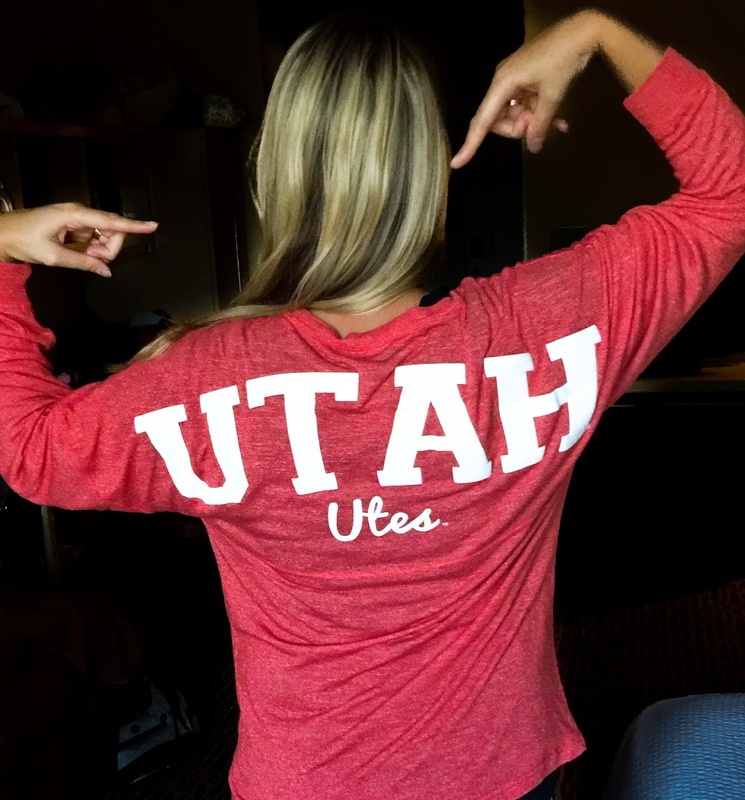 We are headed to UT on transfer to continue our hotel-living lifestyle in the Salt Lake area and we couldn't be happier. We have no clue how long we will be there....could be a month, could be 6, but we will take what we can get! We will head to Spokane to spend Thanksgiving with our people there and then we are rollin' out! My only concern is leaving the sunny, warm, tropical-ish 70-80 degree weather here and going full throttle into the legit Utah winter! Haha we are going to FREEZE! See ya later shorts, flip flops, and bathing suits...bring on the coats, beanies, and boots! Here's to a new adventure!